It’s sticky, it’s sweet and it tastes wonderful on a warm biscuit. Honey is a natural sweeter that’s been that provides a natural form of instant energy. And it’s been used for centuries as an antibacterial agent. Now new evidence from the Food Safety News shows that the majority of honey available in U.S. grocery stores is missing the pollen, which would lead it to fail quality standards set by many of the world’s food safety agencies. 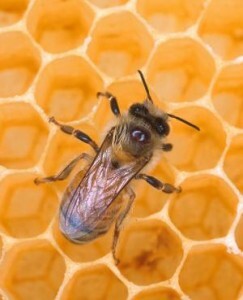 The pollen in honey serves several purposes. It provides some nutritional benefits, it is thought to help minimize seasonal allergies, and it helps food safety officials track where the honey is from. The pollen is removed from honey using a technique called ultra filtering, where honey is heated, sometimes watered down and then forced at high pressure through extremely small filters to remove pollen. There’s no way to tell whether ultra-filtered honey is coming from an unsafe source. In the past, some imported honey was found to contain high levels of antibiotics and heavy metals. The take-home message: Do your best to buy honey from a known local source, such as a farmer’s market or cooperative grocery store. As a sidenote, Cornell happens to be one of the nation’s leading resources for information about honey bees. It houses the largest and most comprehensive apiculture library in the world as well as the Dyce Laboratory for Honey Bee Studies.